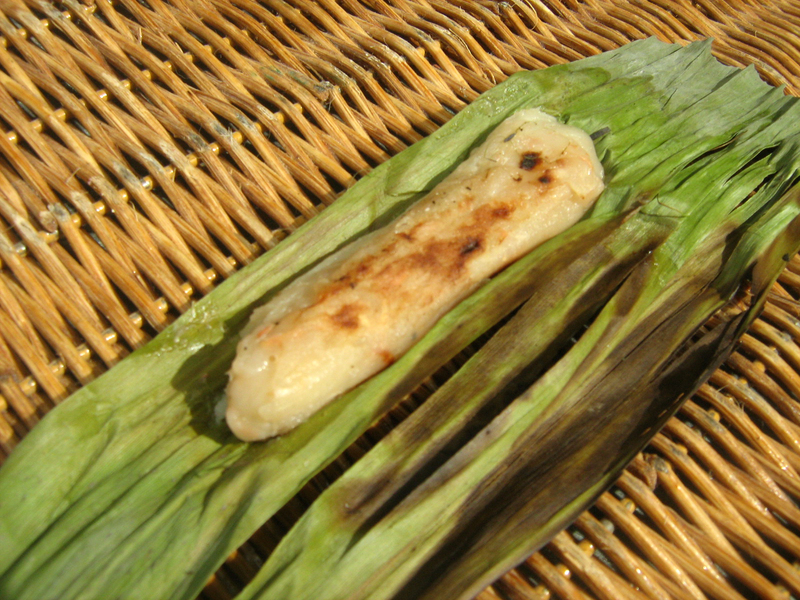 Extract the coconut milk from the mature coconut by adding water and squeezing out the “gata” or coconut milk. Then, set it aside. Afterwards, add the remaining to the coconut milk and mix well. 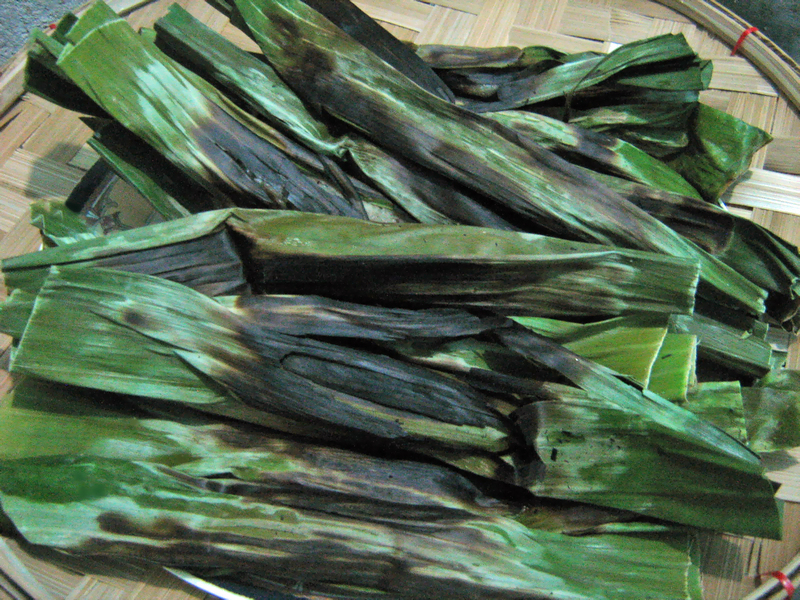 Pour 1/4 cup of batter or the mixture on wilted banana leaves. Roll and seal on both ends. Bake it over on live charcoal for about 15 up to 20 minutes or until done. Traditional Filipino homes has this must-have kitchen tool especially those who love to cook or do delicacies with coconut… the “coconut grater” or “shredder”, commonly known in the Philippines as “kudkuran” or “kudkuran ng niyog”. 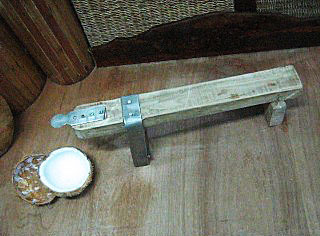 This humble and simple machine made out of elongated wood for its bench and its metal grater attached on its forepart is used to segregate or separate the coconut flesh from its shell. 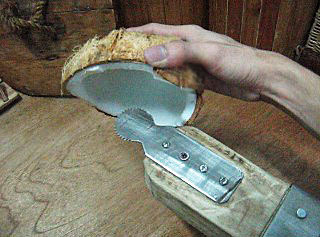 In order to use it, you have to sit on its other end opposite to its grater with your legs apart and with your hands holding the half-cut coconut while grating it in its shredder manually. Also called as “igad” in Ilocano, “kaguran” in Bisaya, and “pangudkuran” in Ivatan.